Thinking about how to decommission Exchange 2010 after Office 365 hybrid migration. Are you facing difficulty while migrating Exchange mailbox data to Exchange Online manually? Do not panic! This guide will describe the best and relevant approaches to decommission On-premises Exchange into Office 365. So, let’s get started! When the Exchange users wish to use the service of Office 365, then they first go for the Office 365 Deployment. As it’s name suggest ‘hybrid’, it is the combination of cloud and On-premises. It provides the facility to use the Exchange Server with Exchange Online mailboxes. However, when the user or an organisation wants to completely move their mailboxes from On-premises to Exchange Online. In such an instance, hybrid deployment creates the problem such as getting error messages. As a result, users are unable to decommission Exchange after Migration to Office 365. In the upcoming section, users will know the reason why hybrid deployment is not a good option for the Exchange mailbox migration. From the last few years, the growing popularity of MS O365 and its advanced feature attracts the most users. Also, Office 365 Hybrid Server gives the flexibility of gradual migration to Online but it is upto some extent. Because when it comes to full migration from On-premises to Office 365, hybrid deployment becomes cumbersome. The reason behind is a requirement of minimum one On-premises hybrid server for user management. It is because of the presence of Active Directory Synchronization or DirSync. It is a part of the pre-requisite that is mandatory to deploy a hybrid process. Its work is to make a copy of local On-premises directory and then communicate into cloud tenant. So, when the DirSync (or Directory Synchronization) is enabled, most of the actions or task is managed from on-premises instead from O365. That is why organizations cannot remove on-premises mailboxes completely and move into Office 365 after hybrid migration. Well! After understanding the reasons, let’s look at the approaches that help the users to remove Exchange 2013, 2010 from hybrid configuration. How to Decommission On-Premises Exchange Servers Hybrid Manually? Note: If the above-mentioned cmdlet is set up to Remote, then use batch migration process to move Public folder in MS Office 365 account. 2. Next, ensure that MX and Autodiscover DNS record are set for Office 365 Exchange Online rather than local hybrid server. 3. After that, you need to eliminate the SCP (Service Connection Point) values from the On-premises Exchange Server. This action ensures that you are using DNS record for AutoDiscover. Use the following command to remove SCP. 4. In the MS Office 365 Admin portal, go to Admin Centers > > Exchange. 5. 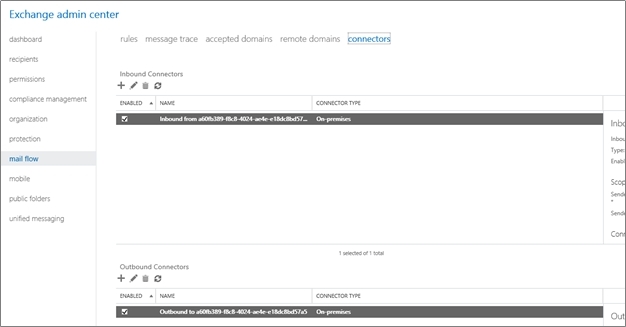 In EAC, click on mail flow option and then select connectors. Here, you can disable the inbound/outbound connectors that were used for hybrid deployment process. Ensure that the connectors that used currently are not deleted. You have to login into Office 365 as an Administrator. Next step is to select Exchange option. Go to Organization option display at the left-side pane. In the detailed pane, under Organization Sharing heading, remove the O365 to On-premises relationship by selecting the checkbox. Then, click on Bin icon to delete it. Next, open PowerShell Window and connect it with Exchange Online to remove OAuth configuration. Is it worth to follow a long- step procedure to migrate from On-premises Exchange to Office 365? For the organizations, time is calculated as a money. In such an instance, deploy such a complex method is not beneficial. Moreover, depending on the Exchange Server edition, the steps to complete migration manually also changes. Adding to it, any single mistake of a comma in PowerShell command results in data loss issues. So, it is better to choose a solution that is reliable and automated instead of a complex one. One such software is Exchange to Office 365 Migration that successfully import On-premises mailbox data to Exchange Online tenant. Also, users can move unlimited size of mailboxes to Office 365. 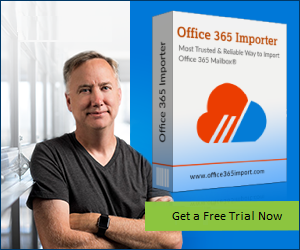 It provides the facility to extract all Exchange mailbox data such as emails, contacts and more and directly exports it to Office 365 account. Above all, it is easy to use interface makes the entire process so facile even a naive user can easily operate it.